Carol J. Binkowski writes about music, history, and a variety of other topics. historical newspapers and publications served as the basis for this narrative. wrote such enduring works as "American Beauty" and "Ragtime Nightingale." Carol's essays and articles have appeared in The New York Times, The Washington Post, The Christian Science Monitor, AAA Traveler, Literary Traveler.com, Clavier, The Optimist, The New York Daily News, Writers' Journal, Grit, Mr. Beller's Neighborhood, and The Instrumentalist, among other publications. A book reviewer for Library Journal, she was awarded its 2011 Special Reviewer's Citation. A freelance pianist and organist in the New York/New Jersey metropolitan area, Carol has created and presented programs on music and history for cultural/educational groups. originally published as "Setting a Place for a New Family's Traditions"
The story of the creation of this world-famous concert hall and the five-day festival celebrating its opening in 1891. Biographies of fourteen inspiring women from New Jersey's history (co-authored with Lynn Wenzel). 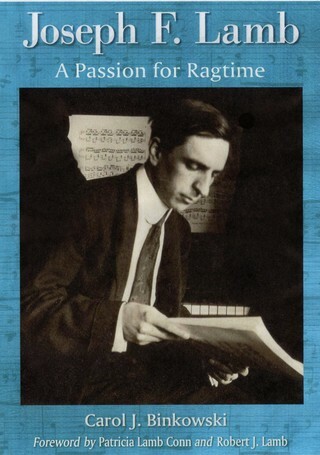 The biography of one of classic ragtime's "big three" composers. "An impressive and meticulously researched work."